Interior options for handlesets are the Georgian Knob or the Accent Lever. 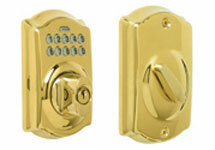 A B360 Single Cylinder Deadbolt is standard with handlesets. 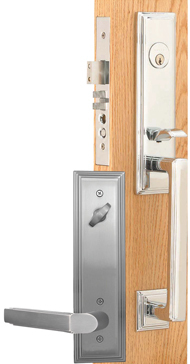 Locking is with deadbolt only. 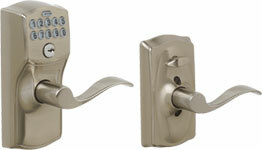 A Single Cylinder deadbolt comes standard with handlesets. * Note: Some hardware or accessories are not available in every finish. Please contact us for futher information or consult the Entry Door catalog.